Created to meet the needs of active photographers and nature enthusiasts, Vanguard Kinray Lite Daypack provides a streamlined, lightweight carrying solution for nearly any outdoors application. Modeled after our acclaimed Kinray series outdoor bags, Vanguard Kinray Lite Slings Pack can be easily arranged for use as a daypack with side camera access and space for accessories or a top-loading backpack to carry a spotting scope, binoculars, and other observation needs. 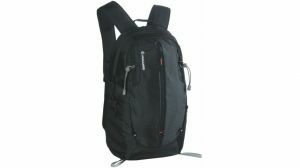 Or remove the soft inner compartment for use as an everyday backpack. Vanguard Kinray Light 48 Backpack offers plenty of space for outdoors essentials, including an upper compartment for personal items, zippered front pocket, and side mesh pocket for carrying a water bottle. Vanguard Kinray Lite 48 Back Pack also features a monopod/walking stick holder, ergonomic harness system with chest and waist strap, and rain cover for protection from the elements.